TunnelBear is a VPN app that provides people with a secure and private connection to a less restricted Internet. It has won over more than 16 million users with its super simple user experience and charming bears. "It's a lot of work to sign up and manage multiple accounts for my team"
Although renown for its simple UX, the app was originally optimized for an individual workflow, not for teams. 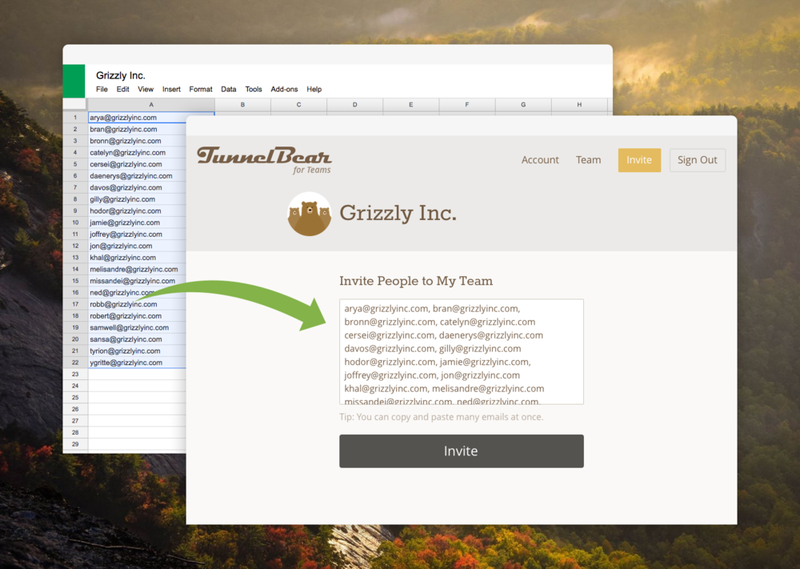 TunnelBear already had businesses and teams using the product, but it took a lot of work to sign up and manage multiple TunnelBear accounts. I was a "UX Team of One" in the creation of TunnelBear for Teams reporting in with the CEO and design team, working cross-functionally with Marketing, Support, 1 Back-end Dev, and 2 Front-end Devs. Stakeholder Interviews - Interviewed CEO, design, dev, marketing, support. Marketing had already conducted some initial market validation with a landing page and interviewed manually added team users, so I used that data as a starting point. Problem Mapping - Facilitated Problem Mapping and worked with stakeholders across the company to put together a map of the user's journey for both Team Owners and Teammates, from sign up to team and individual account management. Sketching, Low-Fi Wireframes & Prototypes - From there I sketched, wireframed and prototyped User Flows, starting with Mobile Web. Test Internally & Externally. High-Fi Comps & Prototypes - User Flows progressed from low fidelity wires to high fidelity comps and prototypes. Began focusing more on Desktop Web. Test Internally & Externally. Web Pattern Library - As prototypes and comps were created, styles were extracted from previous TunnelBear properties (PSD to Sketch) and put into a Web Pattern Library. After exploring several directions, we settled on the "bear office antics" concept. We explored ideas with rough photoshopping, then chose the strongest ones to illustrate. Some of my illustrations that made it into the final product, and some that did not. Internal User Testing - Provided set of tasks to complete from both Team Owner and Teammate perspectives. Any problems were reported in the same document, from bugs to copy tweaks. 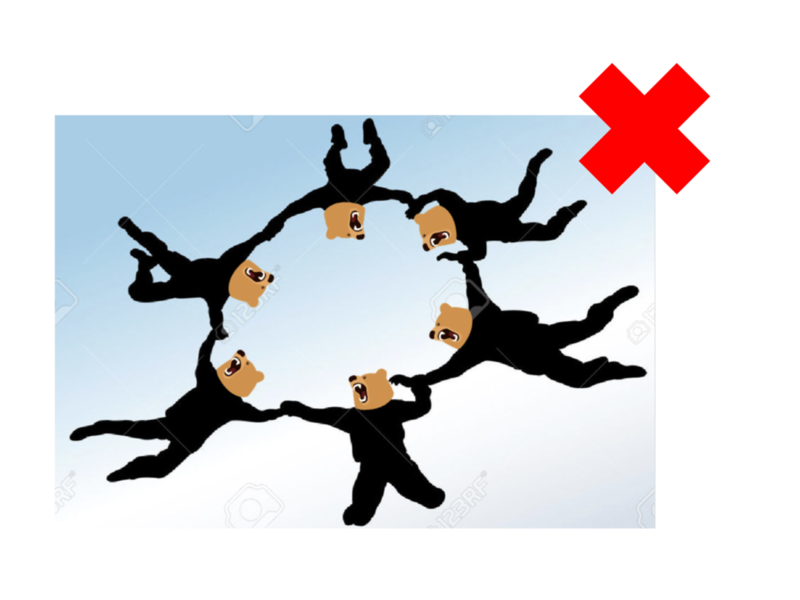 "It's easy for me to manage my team on TunnelBear"